The current schedule shoot of Mega Power Star Ram Charan Govindudu Andarivadele has been wrapped up. A montage song on all the lead actors has been canned recently. GAV unit will take a couple of days off and a special set is being readied in Nanakramguda for the next portions of shoot. Govindudu Andarivadele casts Kajal Aggarwal, Srikanth, Prakash Raj, Jayasudha and Kamalinee Mukherjee in the lead roles apart from Ram Charan. Bandla Ganesh is producing Govindudu Andarivadele movie under Parameswara Arts production banner. Yuvan Shankar Raja is zeroed in as music composer. 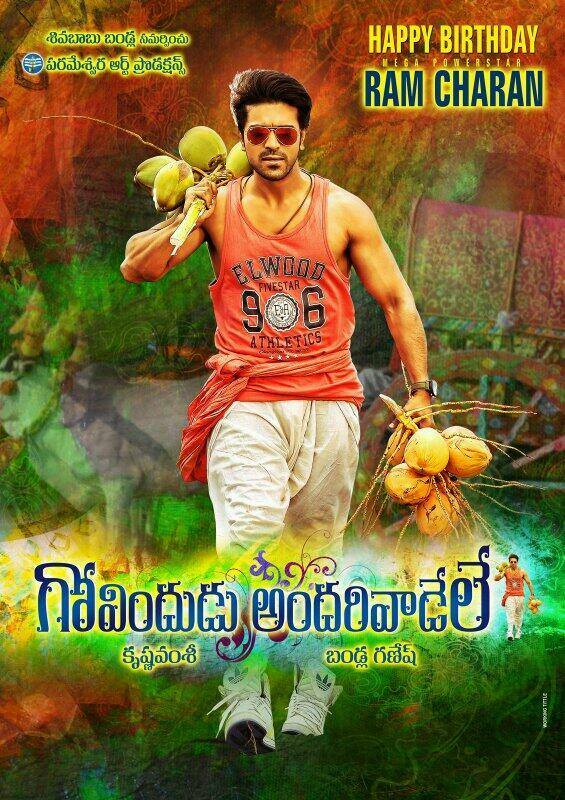 Govindudu Andarivadele is being readied for October 1 release. Vikram Prabhu steps into Dulquer’s shoes!